Freaking finally! I really can't believe I have had these polishes to myself for so long, I really need to be lashed for my tardiness in showing you all this amazing collection. I expect nothing less than fantastic from BB and this collection has no shortage of it. Sinfully Polished is the fall collection and each of the polishes are named a different "sin", from the 7 Deadly Sins get it! First up is Gluttony (a sin I know a little bit too much about, haha) which is a purple lavender pinky crème with translucent silver glitter bits. 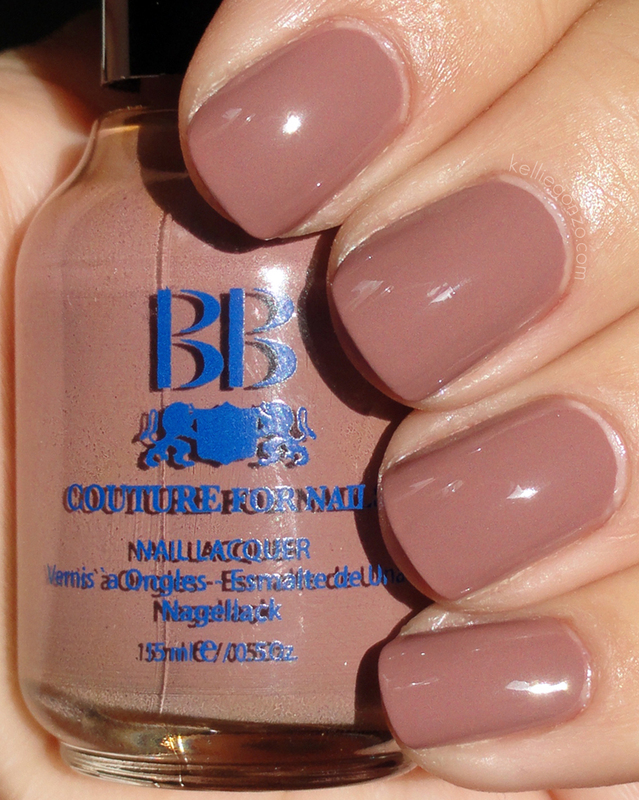 I really adore these subtle shimmers from BB Couture, so complex! This is three coats. Next is Envy, and yes it is green ;) A gorgeous darkened cool toned green with absolute loads of dark gold shimmer and lots of red glitter bits. This is two coats. Greed is the next polish, a pinky brown beigey crème. I like nudes and this one is really gorgeous, very mellow. This is three coats. Here is Sloth, which is also a cute furry tree-dwelling animal haha, and a beautiful polish. 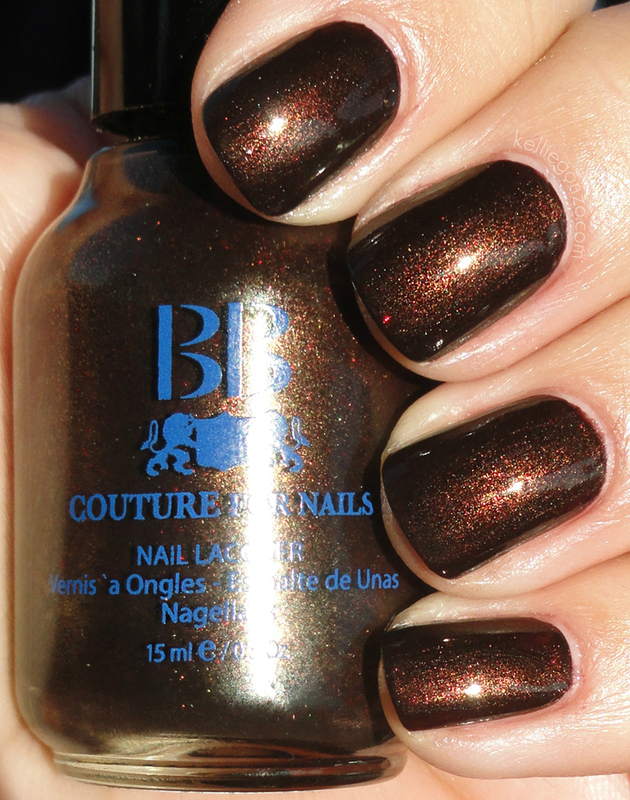 It is a warm chestnut brown with tons of gold shimmer and red glitter bits. I am LOVING the red glitter, so unexpected! Stay tuned for the next part of this collection and the Men's half!